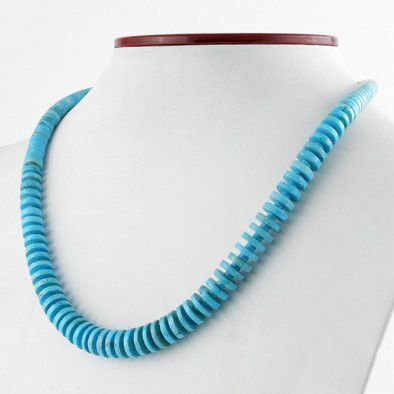 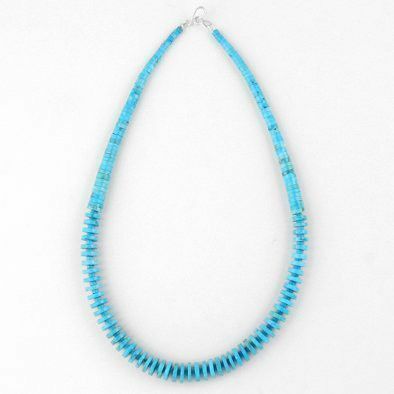 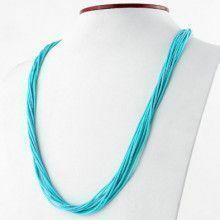 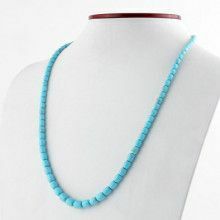 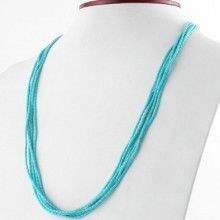 This necklace features 100% natural turquoise Heishi beads. 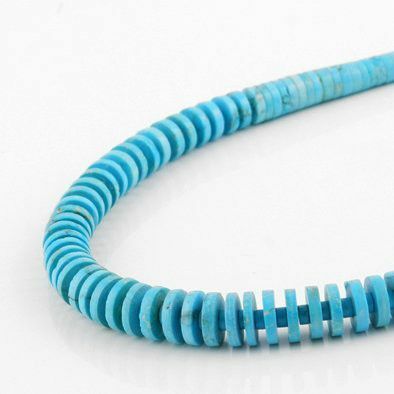 The beads are separated by turquoise spacers. 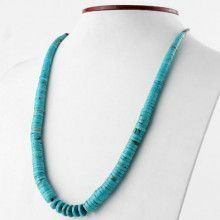 The turquoise ranges from 1/8" long to 7/16" long. 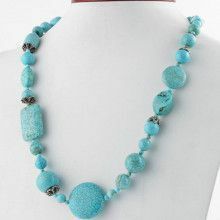 The necklace itself has a length of 19" and is a truly beautiful piece of gemstone jewelry. 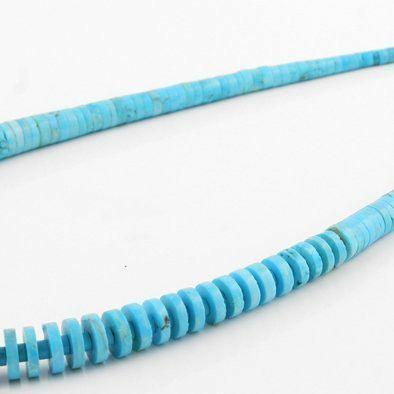 Turquoise Beads Measure from 1/8" in Length to 5/8"